In 1945, Saab Automobile group was spun out of Saab AB, the Swedish jet manufacturer, with a goal of using their military technology to compete in the consumer automobile market. From the beginning, their engineering team was willing to ignore established tropes, and try new things. The first car, the 92 was designed to have the silhouette of an airplane wing, and had a 2-stroke engine, with a clever approach to keeping the mixed oil and gas lubrication flowing, even while coasting. 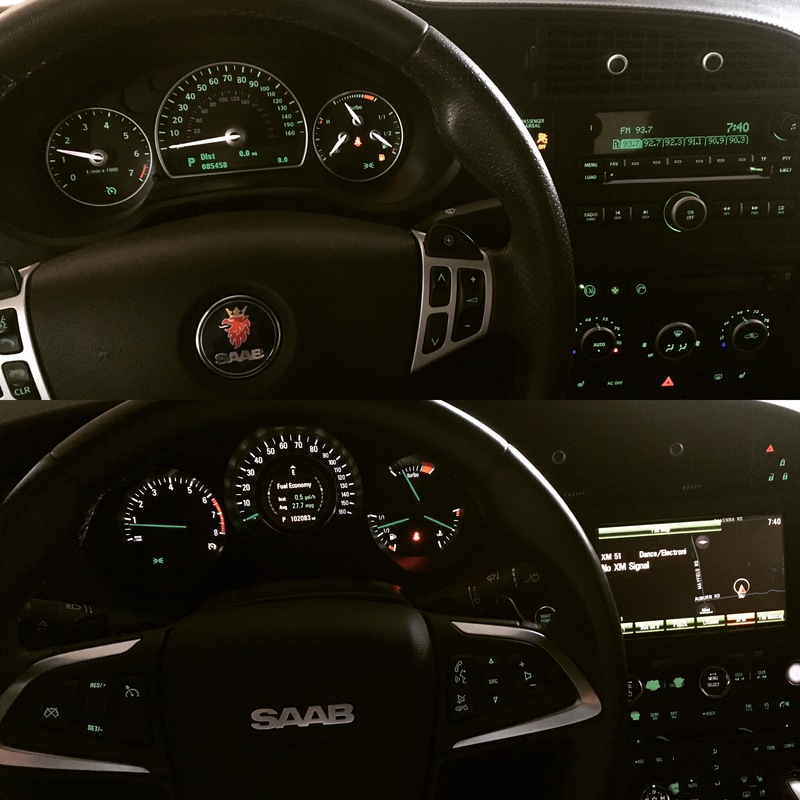 A few good things happened during these final years of Saab. One was the establishment of an independent parts company, now known as Orio, with rights (and molds) to Saab parts and manufacturing processes. The other good things were a briefly produced SUV, the Cadillac-derived 94-X, and its brother, the Next Gen 95 — the first true overhaul of the venerable 95 since the early 2000s. They may not have known it at the time, but the NG95 was to be their swan song: a last attempt at a unique and beautiful Saab. Based, in large part, on GM’s Epsilon 2 platform, the NG 95 contains all the modern tech Saab fans had been pining for, while retaining Saab’s quirky style, and obsession with performance and safety. Only 654 NG 95s were produced for North America in 2010, and just over 2700 in 2011. 2010 NG 95 Aero left. 2009 93 Aero right. I have loved my 2009 93, and enjoyed fixing it up and lightly customizing it, using accessories and tech made in the Swedish after-market — in some cases, by former Saab engineers who continued their labor of love long after they were laid off. But when the chance came up to grab a 2010 NG95 for only (after negotiation) $9000 (and after learning that my Tesla won’t be available for another 2 years) I jumped at it. 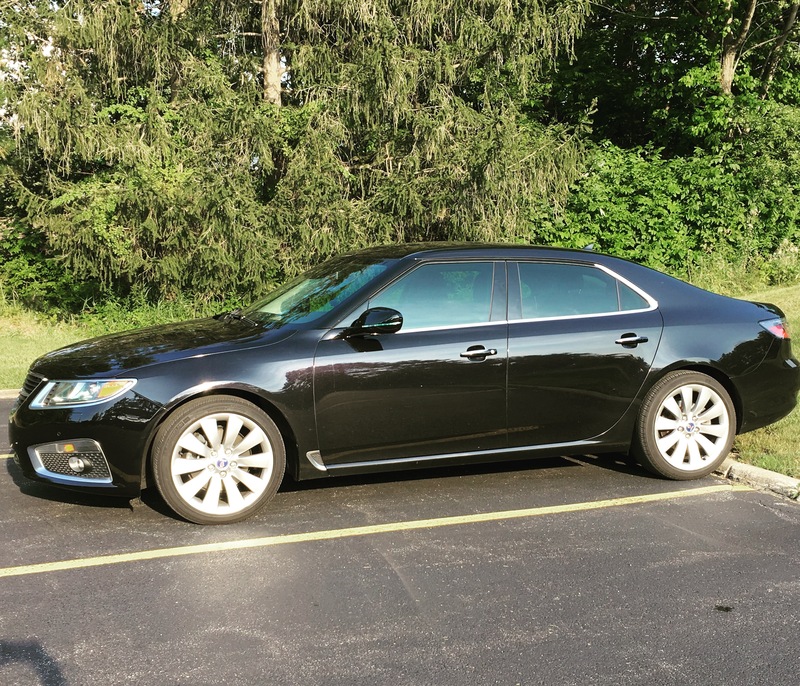 Mine is a 2010, and only Aero’s were made that year — the high end model, so its loaded: air conditioned seats, all wheel drive, power folding mirrors, an intelligent traffic camera that reads traffic signs and monitors your lane position, and a heads-up display that projects key driving information unobtrusively in your windshield. The backseat entertainment system includes two-channel audio, and dual fold-out displays, linked to the DVD player in the head unit. It also came with 100,000 miles on it, a cracked windshield, a broken headlight, scratched paint, some broken and loose interior bits, and an apparent dearth of regular maintenance. In other words, a fixer-upper. 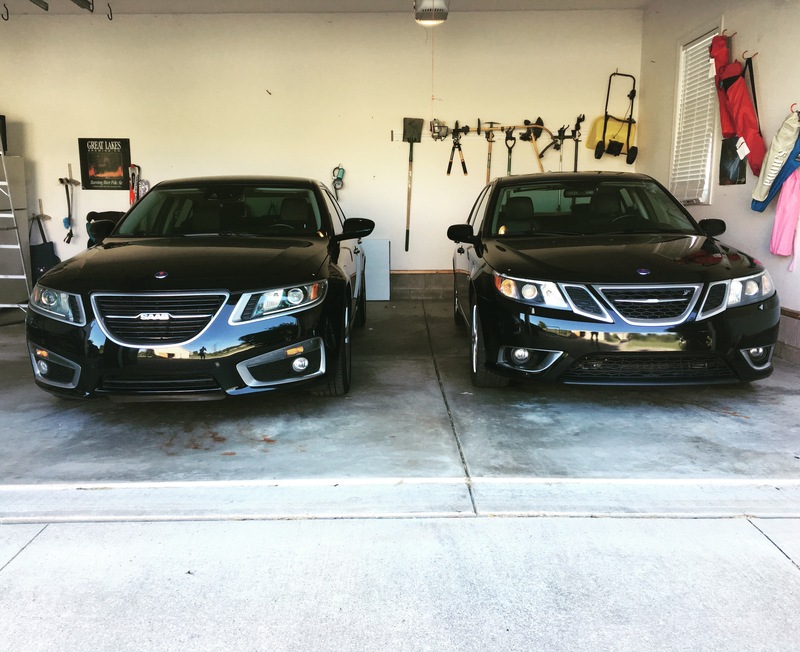 Fortunately, Saab fans seem to love nothing more than helping each other out, and I’ve already made a new local friend who has multiple Saabs — including a NG 95 in his family. So work is underway on smoothing out the rough edges. Fortunately, its still a blast to drive while I fix it up. Thanks to Saab’s jet plane legacy, every one of them comes with a twin scroll turbo charger that blasts you past traffic with a whoosh that sounds like adrenaline feels.